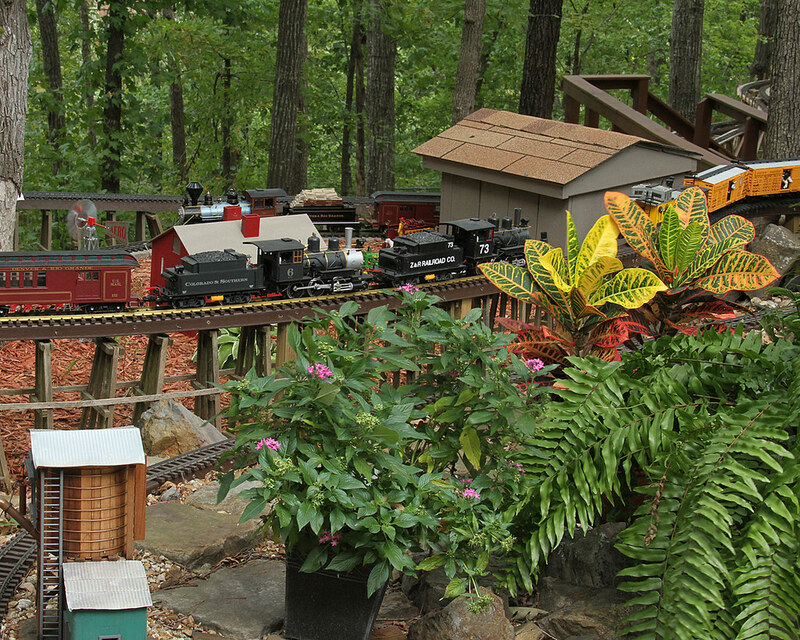 LITTLE ROCK — Men, women and children of all ages are invited to watch the timeless magic of elaborate model trains at the 25th annual Arkansas Garden and Flower Show. Richard Davis, a member of the Central Arkansas Garden Railway Society, said members of the group will be setting up two displays at this year’s show — a traditional looping through a 900-square-foot area, and a 100-square-foot Thomas the Train layout for children. This year’s show, themed Silver Celebrations, will take place in the Statehouse Convention Center, 101 E. Markham Street in Little Rock, from Feb. 26-28. Davis said the group has several “traveling tracks,” which they set up at various locations throughout the year, and that a flower and garden show is a natural fit. Garden railway designs, as the name implies, tend to incorporate plants and foliage in their layouts, and Davis said that will certainly be part of the group’s design at this year’s show. Much of Davis’ work involves model steam trains depicting construction from the mid-nineteenth century to the mid-twentieth century. He said the trains, depicting past eras of travel, often had a mesmerizing effect on people of all ages. This year’s Arkansas Flower and Garden Show opens its doors at 10 a.m. Friday, Feb. 26. Show times are from 10 a.m.-6 p.m. Friday and Saturday, and 10 a.m.-4 p.m. Sunday. Admission is $10 each day, and three-day passes are available for $15. Admission for children under 12 is free. Tickets can be purchased online or at the door. For ticket information and a full schedule of events, visit http://www.argardenshow.org/.